Texas: a land of sprawling diversity and unparalleled richness; a dazzling chapter in the history of our nation; a place like no other on Earth. Through the remarkable lives of four families, this epic saga spans four centuries and two continents and charts the dramatic formation of several great dynasties from the age of the conquistadors to the present day. 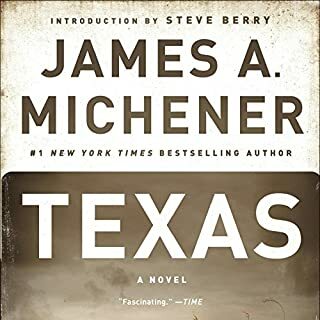 A richly compelling novel of a proud people eager to meet the challenge of the land, Texas is James Michener's most magnificent achievement. The Starrett family's life forever changes when a man named Shane rides out of the great glowing West and up to their farm in 1889. Young Bob Starrett is entranced by this stoic stranger who brings a new energy to his family. Shane stays on as a farmhand, but his past remains a mystery. Many folks in their small Wyoming valley are suspicious of Shane. 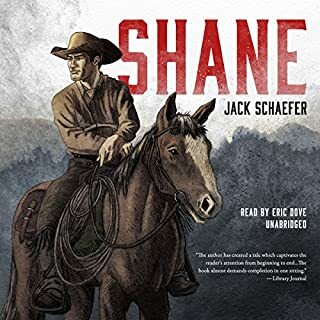 But dangerous as Shane may seem, he is a friend to the Starretts - and when a powerful neighboring rancher tries to drive them out of their homestead, Shane becomes entangled in the deadly feud. Greek to Me is a charming account of Norris’s lifelong love affair with words and her solo adventures in the land of olive trees and ouzo. Along the way, Norris explains how the alphabet originated in Greece, makes the case for Athena as a feminist icon, seeks the fabled Baths of Aphrodite, and reveals the surprising ways Greek helped form English. 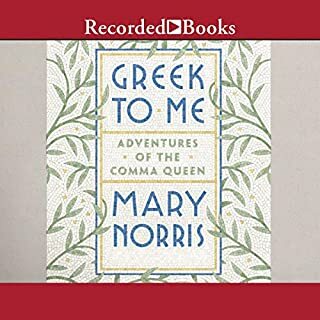 Filled with Norris’s memorable encounters with Greek words, Greek gods, Greek wine - and more than a few Greek men - Greek to Me is the Comma Queen’s fresh take on Greece and its exotic yet strangely familiar language. Sixteen-year-old John Grady Cole's grandfather has just died, his parents have permanently separated, and the family ranch, upon which he had placed so many boyish hopes, has been sold. 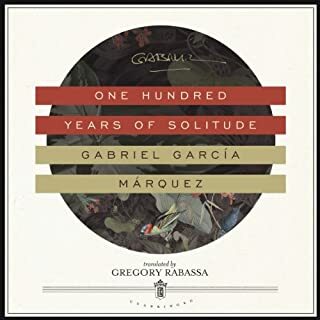 Rootless and increasingly restive, Cole leaves Texas, accompanied by his friend Lacey Rawlins, and begins a journey across the vaquero frontier into the badlands of northern Mexico. In the early 1970s, author and radio host Studs Terkel went around the country with a reel-to-reel tape recorder interviewing people about their jobs. 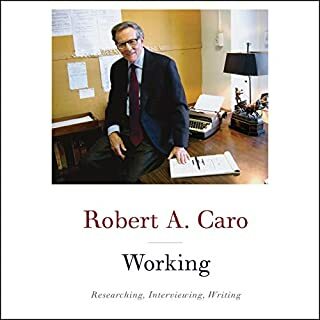 The result was the best-selling book Working. The great interviewer of his day, Terkel celebrated the uncelebrated, and Working elevated the stories of ordinary people and their daily lives. Here is the complete audio documentary as broadcast by NPR, plus exclusive bonus interviews and commentary. Henry Fonda and James Stewart were two of the biggest stars in Hollywood for 40 years. They became friends and then roommates as stage actors in New York, and when they began making films in Hollywood, they roomed together again. Between them they made such memorable films as The Grapes of Wrath, Mister Roberts, Twelve Angry Men, and On Golden Pond; and Mr. Smith Goes to Washington, Destry Rides Again, The Philadelphia Story, It's a Wonderful Life, Vertigo, and Rear Window. 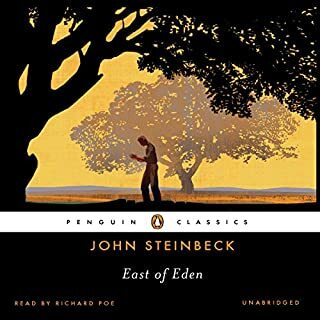 From Pulitzer Prize-winning author Edna Ferber, Giant captures the essence of Texas on a staggering scale as it chronicles the life and times of cattleman Jordan "Bick" Benedict, his young society wife, Leslie, and three generations of land-rich sons. A sensational story of power, love, cattle barons, and oil tycoons, Giant was the basis of the epic 1956 classic film starring James Dean, Elizabeth Taylor, and Rock Hudson.